Flying Paper has been selected to screen in the Martha’s Vineyard International Film Festival as one of just 22 feature length films selected, including several other award winning films with well known actors and directors. 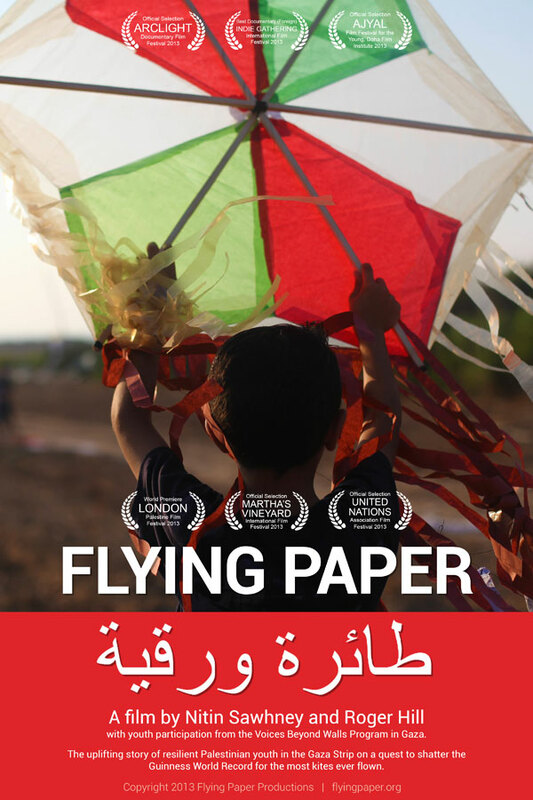 Flying Paper has been made with a dedication to making a family friendly and accessible film with universal themes, a film that cracks a window into the life of Palestinian youth living in the Gaza Strip. A film that explores the challenges these children face while allowing the space for the youth to speak for themselves and enjoy their childhood exploit of kite making and flying. It is great that Flying Paper is beginning to get recognition from major film festivals, and we hope to maximize this exposure to secure international broadcast for the film in the future. This is a step towards our goal of bringing Flying Paper to millions around the world. Please continue to support Flying Paper, and if you are in one of the cities in which it will be screening, we need you to help fill the theater as you are an important element to completing the experience of sharing the film, immersed with the others in the room. Please see our Screenings Page for more festival screenings in a city near you!